FACIALTEAM has employed hilotherapy (controlled cooling therapy) in thousands of patients since 2008, proving its many benefits. 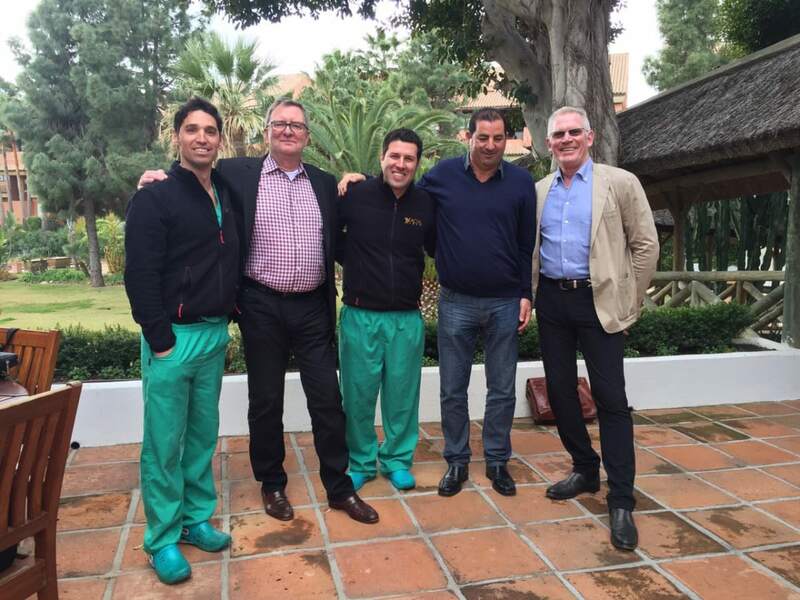 Given the multiple advantages of hilotherapy, FACIALTEAM´s Research and Development team has spent a decade so far working with Hilotherm engineers to pioneer its application in the field of FFS Surgery. In many patients, surgery brings up feelings of fear, especially about the pain in the postoperative period. We are often asked about the postoperative symptoms frequently associated with surgery, such as swelling and bruising. Traditionally, cooling is recommended after an intervention, often in the form of short-term chemical packs, bags of frozen peas or even just ice to reduce these effects. Unfortunately, frozen material is not beneficial due to the negative impact of freezing temperatures on the blood supply and lymphatic drainage of soft tissues. Hilotherapy is a solution which provides the perfect combination: a cool and constant temperature of 15 degrees Celsius. This is optimal to reduce bleeding, swelling and bruising, therefore diminishing pain yet permitting the body’s lymphatic function so that the automatic mechanisms for healing may continue. Through the use of hilotherapy, or cryotherapy, we can maintain the constant temperature ideal for healing yet without blocking lymphatic drainage. Therefore, inflammation and associated pain and bruising are limited considerably, providing a higher degree of comfort, safety and improved results for patients receiving this treatment immediately after surgery and for a constant 24 – 48 hours. Hilotherapy is applied by wearing one or more insulated devices, anatomically designed, to accurately regulate the temperature of the skin and underlying tissues of the particular area. 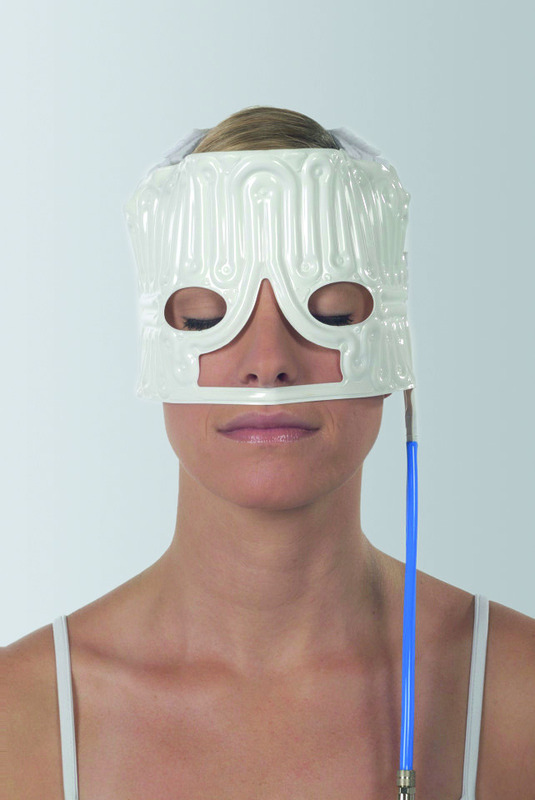 The system works with various models of “masks” which are connected to a closed-circuit of fluid kept at a continuous temperature by the technology. 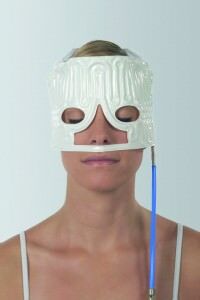 The doctors report, “The hilotherapy face mask, which is easy to put on and remove when necessary, allows us to maintain a constant optimum temperature in the affected area, without the risks caused by freezing of the tissues.” FACIALTEAM patients often comment on the welcome feeling of relief obtained with hilotherapy. In addition, a lower incidence of problems associated with postoperative inflammation as well as a lower demand for analgesia after surgery have been reported. Even the soft hum of the device has been reported to be comforting in the first nights after the procedure! 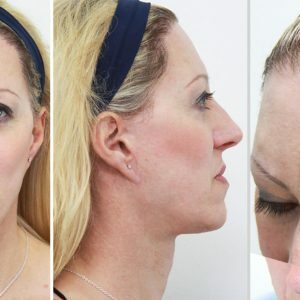 Hilotherapy is highly indicated after many types of surgical treatment, such as facial feminisation, facial bone sculpture, plus oral and orthognathic surgery. Since working with Hilotherm on specific advancements in 2012, which created access to new mask designs of improved comfort and performance, FACIALTEAM´s R&D department has continued working with developers on further advancements for the field of maxillofacial and FFS Surgery. Find more in-depth information about how hilotherapy works on the website www.Hilotherapy.com. 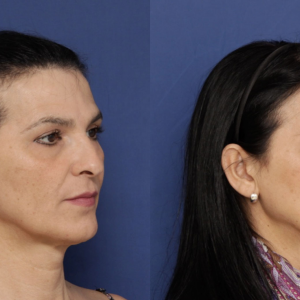 Dr. Luis M. Capitán and Dr. Daniel Simon are founders and co-directors of FACIALTEAM, an internationally renowned team of professionals specialized in facial feminization surgery, with centers in Marbella, Spain and Sao Paulo, Brazil.